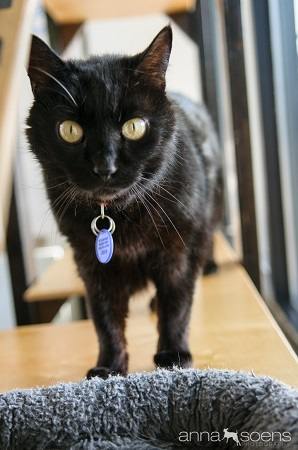 Hey guys, I’m Trombooone, a 6 year old male, 11 lb all black domestic short hair jazzing things up here at The Pixie Project cattery. I am a super friendly loyal guy just waiting to meet my new forever family, who I am guaranteed to charm and soothe with my velvety purrs and smooth jazz coos. Come on down and enjoy this beautiful sunny spot by the window with me! I come microchipped, neutered, and up to date on all vaccines. My adoption fee is $100.